What if I haven’t kayaked before? No problem, beginners are always welcome. We cater to people of all ages and abilities and plan your session to suit your abilities. We want you to enjoy your first time in a kayak, that’s our goal. No, you will be wearing a buoyancy aid at all times and are always accompanied by an instructor. Feel free to contact us if you have any concerns. The half-day /three hour kayak tours cost €45 per person and €25 for people aged 16 and younger. Our popular Dusk 'til Darkness evening kayak tours also cost €45 per person. Full Day kayak tours cost €90 per person. Your safety and enjoyment are our number one priority. Highly qualified and experienced guides, fully trained in rescue techniques and first aid ensure that you are looked after to the highest level. Each trip is designed to best suit the abilities of our customers and the sea/weather conditions at the time. 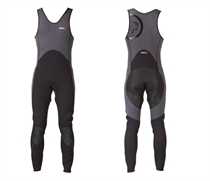 A "long-john" stlye wetsuit, designed specifically for kayaking, this style of wetsuit makes it easy to kayak whilst keeping you warm. 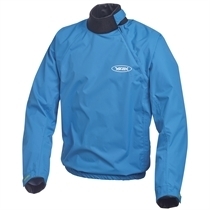 A cag - these showerproof, windproof jackets keep you warm by keeping the wind and rain out. 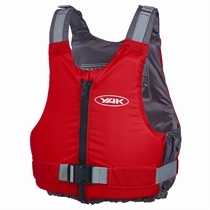 Buoyancy aids - comfortable and easy to put on. This is what keeps you safely afloat if you are in the water. We also have spray decks and dry bags if people would like to use them. Swimwear, shorts, leggings and a t-shirt or a fleece are ideal. Spare trainers/shoes or wetsuit booties, something you don’t mind getting wet. A change of clothes and a towel for afterwards. A warm hat or on brighter days a peaked hat, sunglasses and sun cream. Feel free to bring drinks and snacks with you and on longer trips you'll need a packed lunch. Where can we go kayaking ? Based just outside Galway City we are in an ideal location for kayak tours on Galway Bay and only a short drive from the many fantastic kayaking locations in Connemara, Co. Mayo and Co. Clare. We also run tours on the beautiful Lough Corrib and Corrib River which provide ideal conditions for kayaking all year round and are only 10 minutes drive for Galway City.